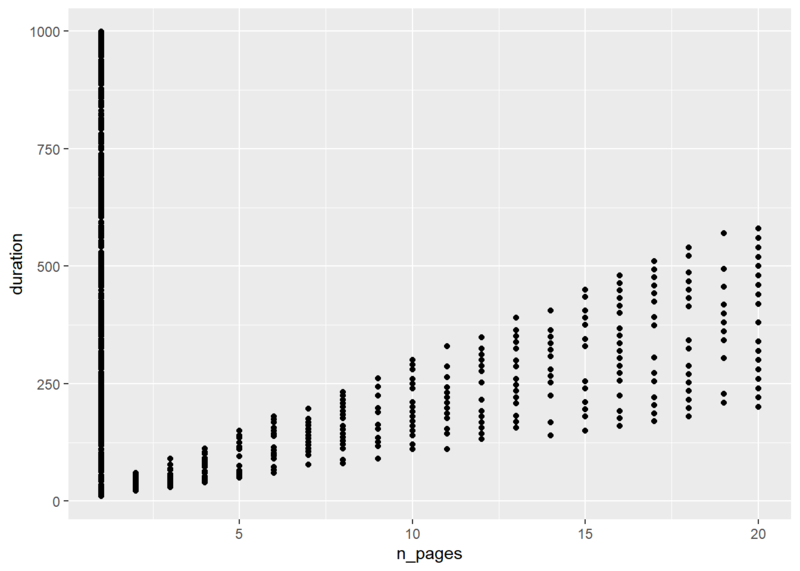 In this chapter, we will create some of the most routinely used plots to explore data using the geom_* functions. 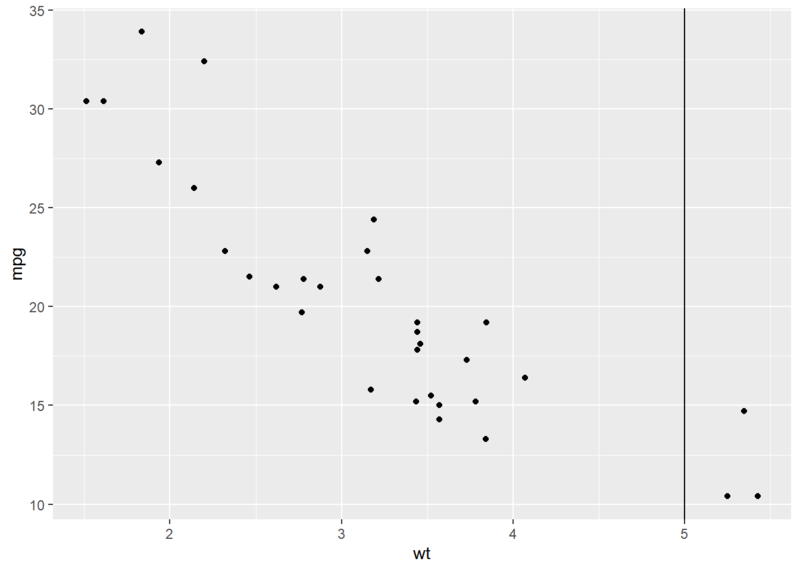 The variables representing the X and Y axis can be specified either in ggplot() or in geom_point(). We will learn to modify the appearance of the points in a different post. If you are using geom_smooth(), you need to specify the method of fitting the line, which can be lm or loess. You also need to indicate whether the confidence interval must be displayed using the se argument. Here we use the 'loess' method to fit the regression line. 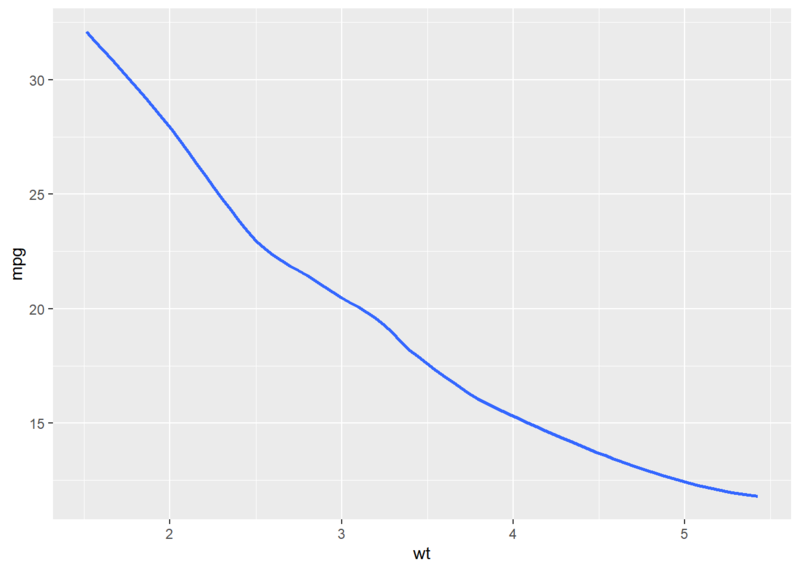 If the bars should represent a continuous variable, use the weight argument within aes(). 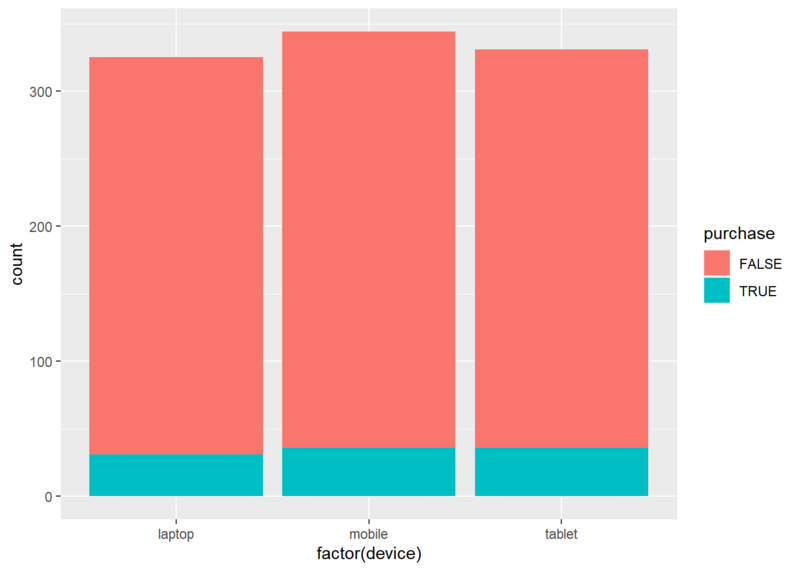 In the below example, the bars do not represent the count of devices, instead, they represent the total order value for each device type. 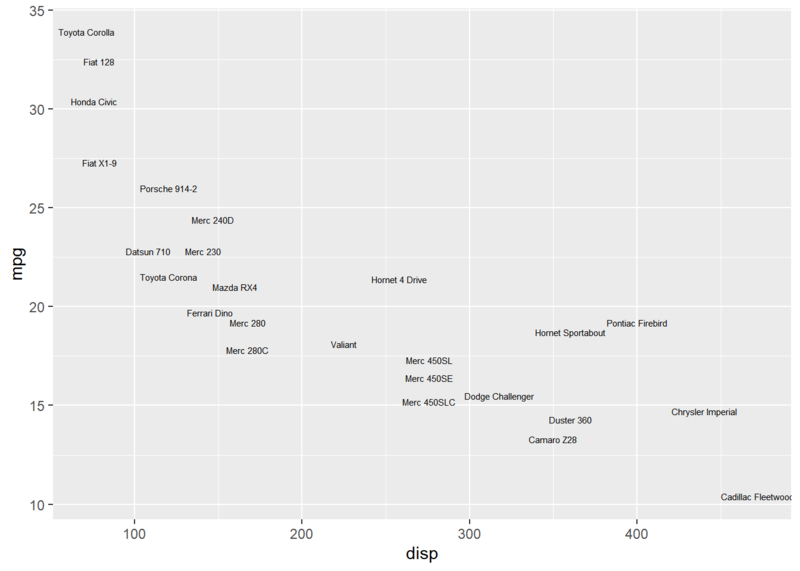 To create a stacked bar plot, the fill argument must be mapped to a categorical variable. 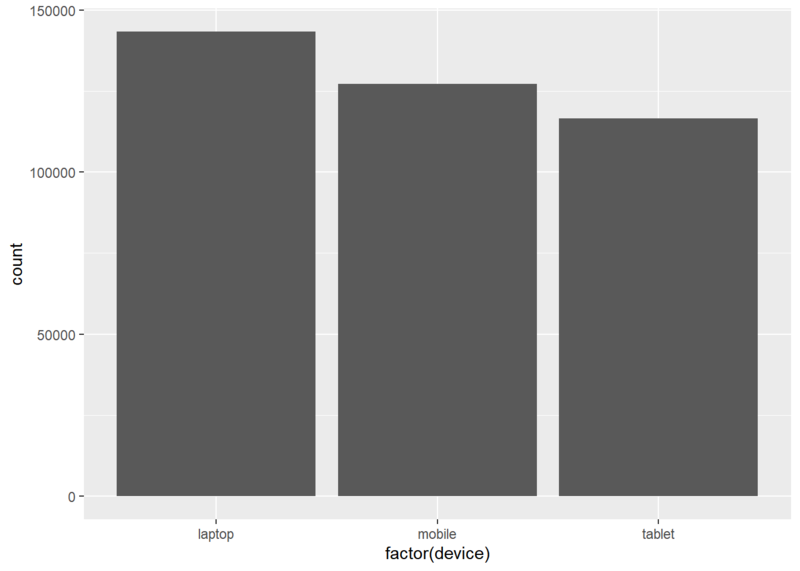 A horizontal bar plot can be created by flipping the coordinate axes using the coord_flip() function. 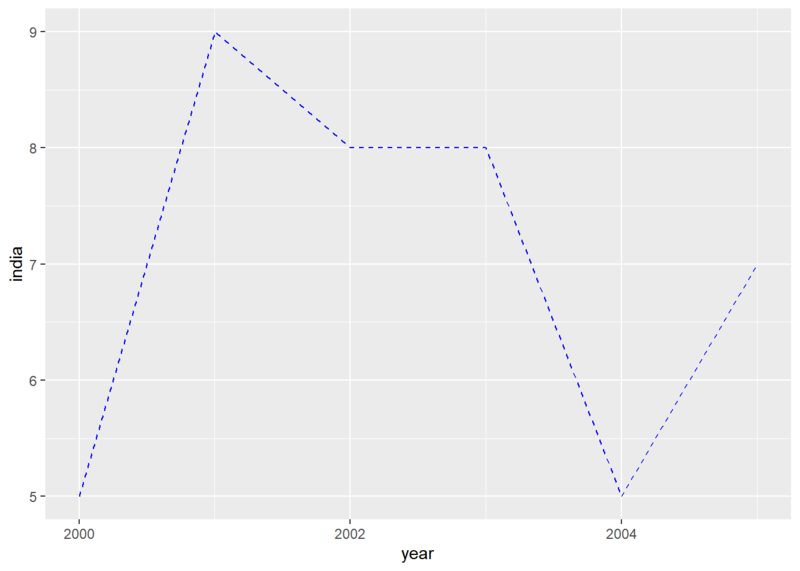 If the data has already been summarized, you can use geom_col() instead of geom_bar(). 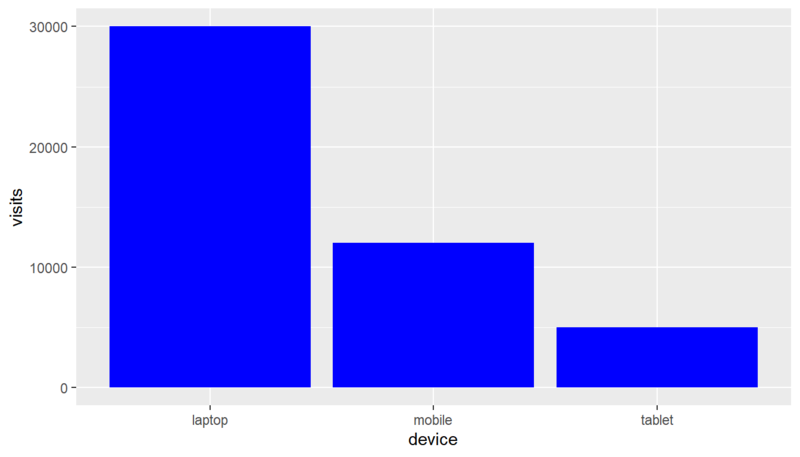 In the below example, we have the total visits for each device type. 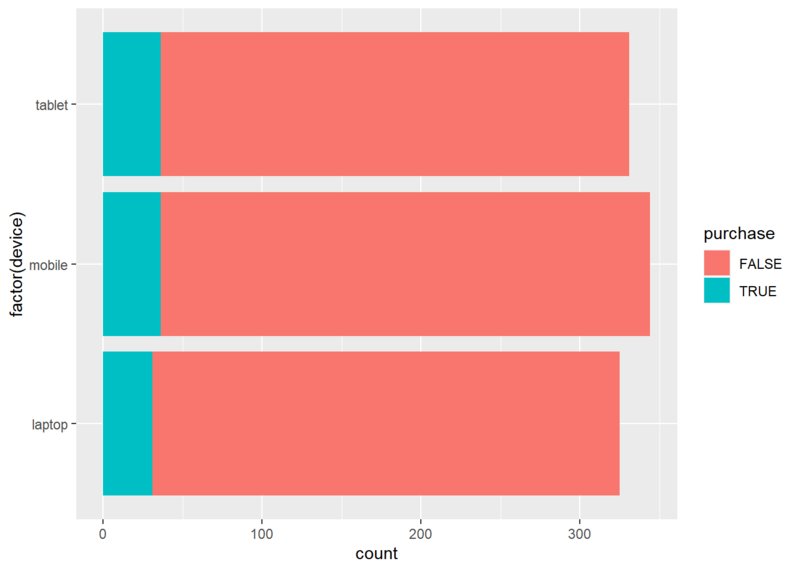 The data has already been summarized and as such we cannot use geom_bar(). The box plot is a standardized way of displaying the distribution of data based on the five number summary: minimum, first quartile, median, third quartile, and maximum. 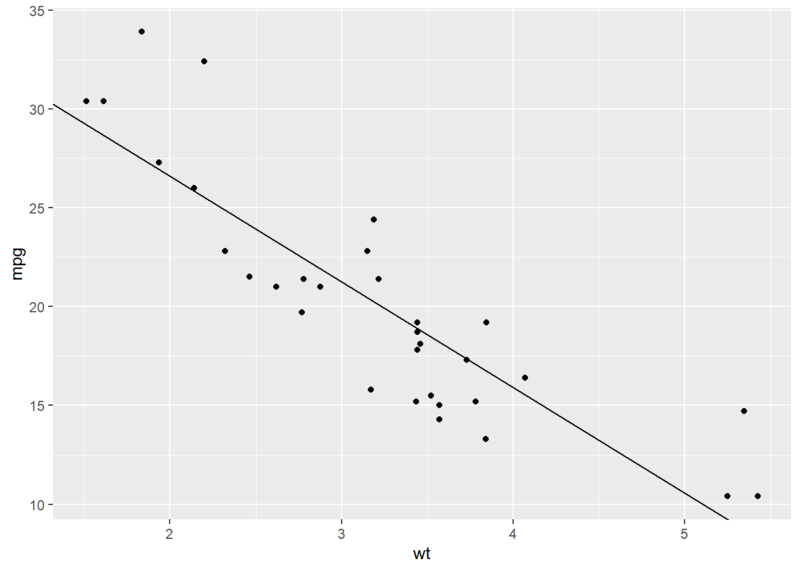 Box plots are useful for detecting outliers and for comparing distributions. 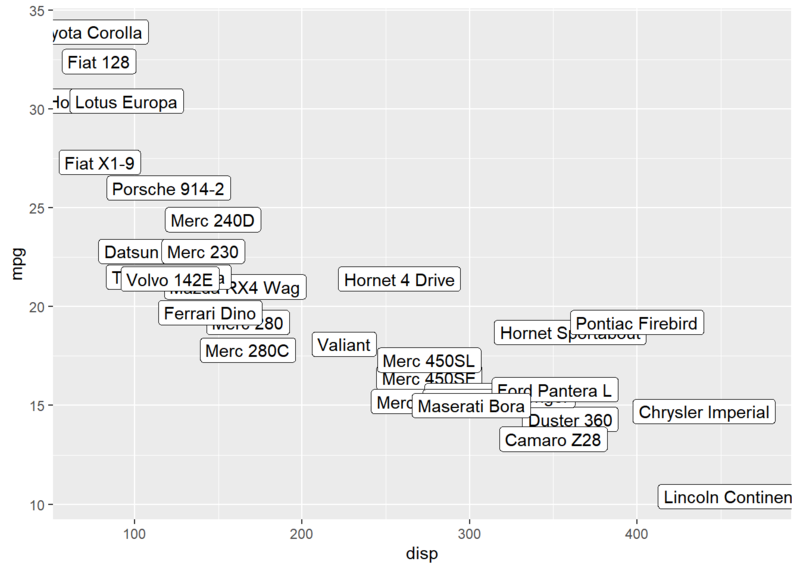 It shows the shape, central tendancy and variability of the data. 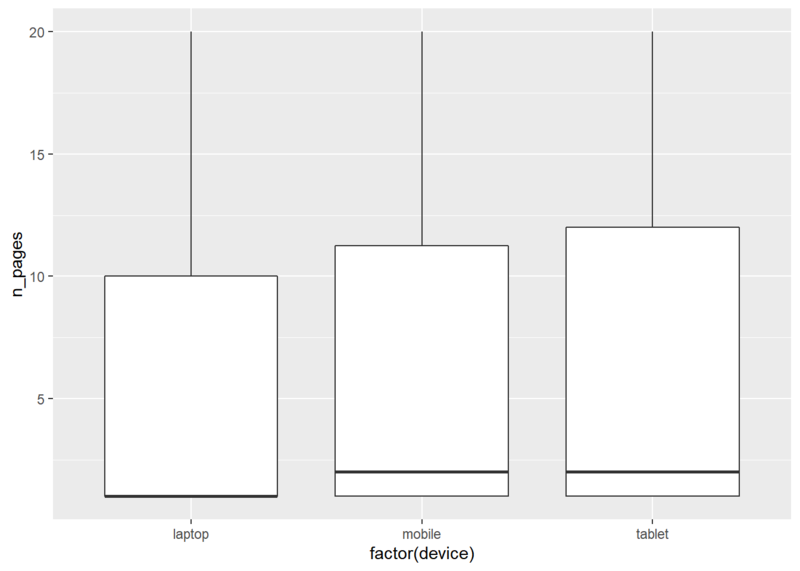 Use geom_boxplot() to create a box plot. 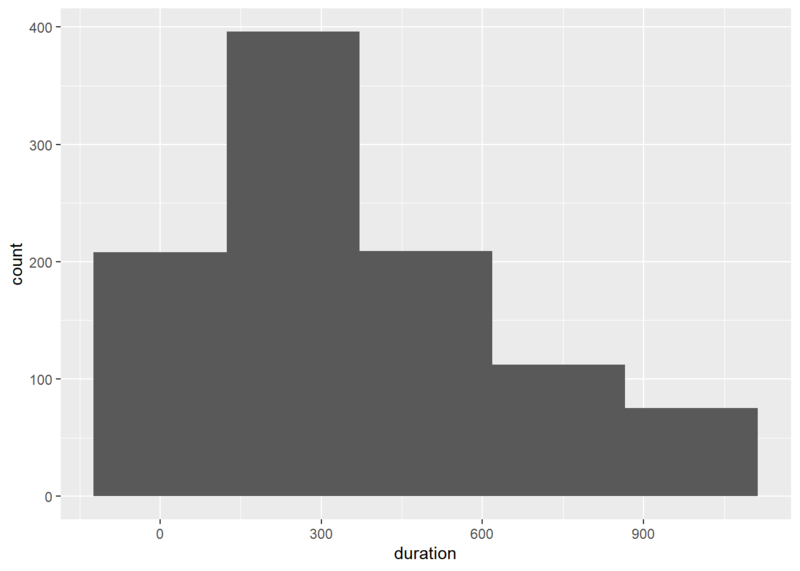 A histogram is a plot that can be used to examine the shape and spread of continuous data. 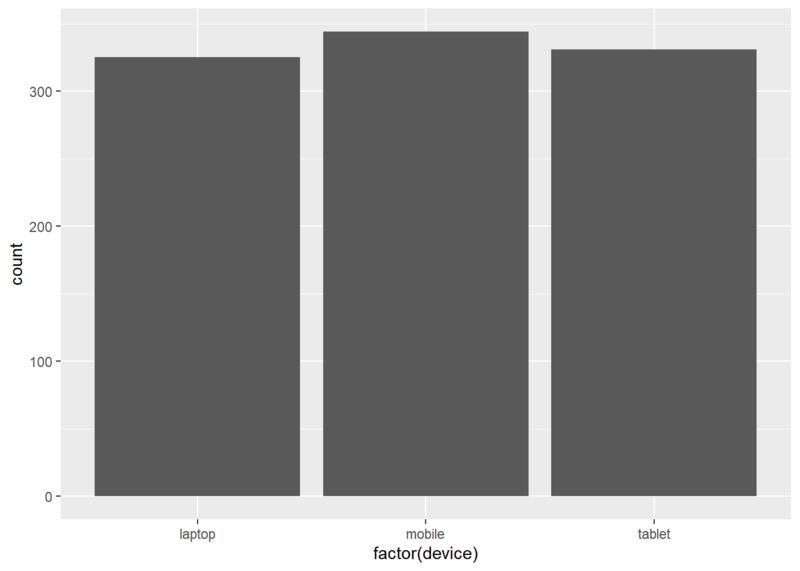 It looks very similar to a bar graph and can be used to detect outliers and skewness in data. 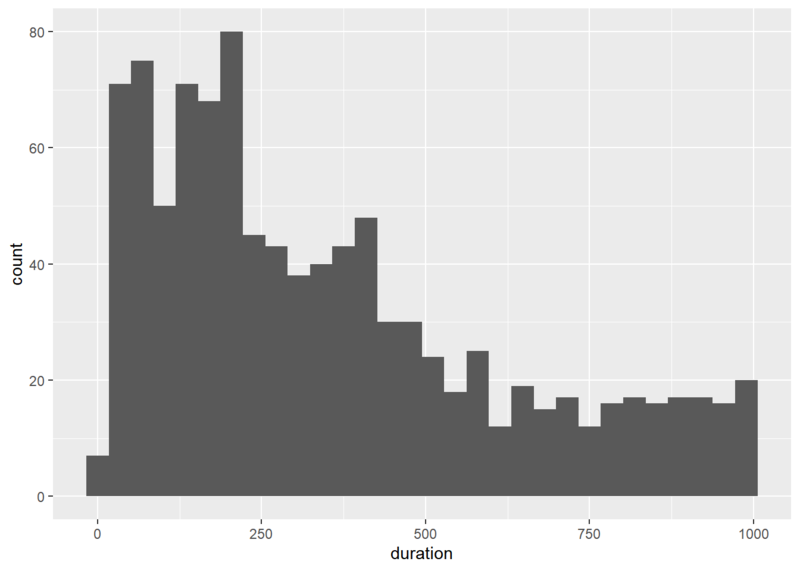 Use geom_histogram() to create a histogram. You can control the number of bins using the bins argument. Line charts are used to examine trends over time. We will use a different data set for exploring line plots. 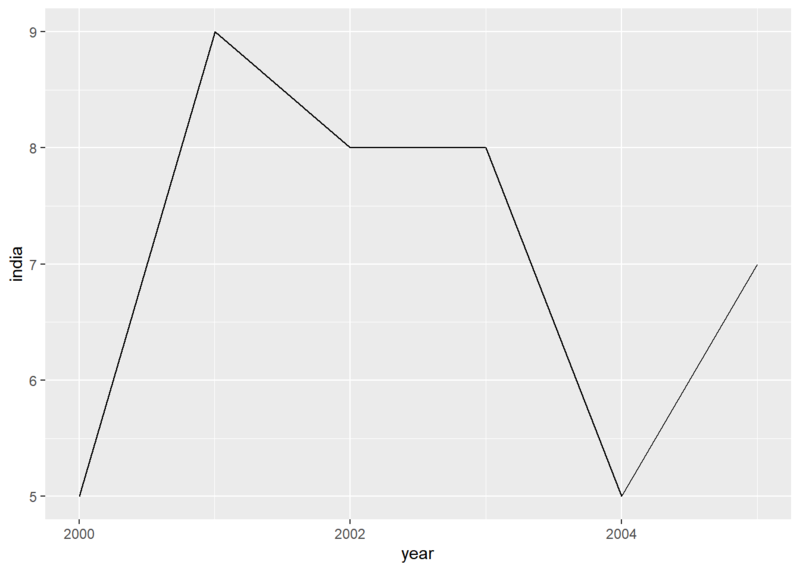 Use geom_line() to create a line chart. In the below plot, we chart the GDP of India, the fastest growing economy in emerging markets, across years. The color and line type can be modified using the color and linetype arguments. We will explore the different line types in an upcoming post. To add a horizontal line, the Y axis intercept must be supplied using the yintercept argument. For the vertical line, the X axis intercept must be supplied using the xintercept argument. 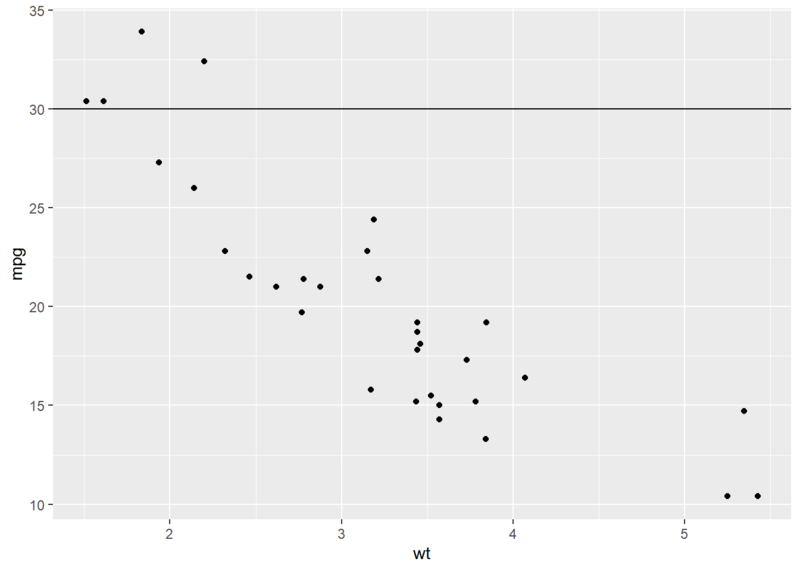 You can label the points using geom_label(). 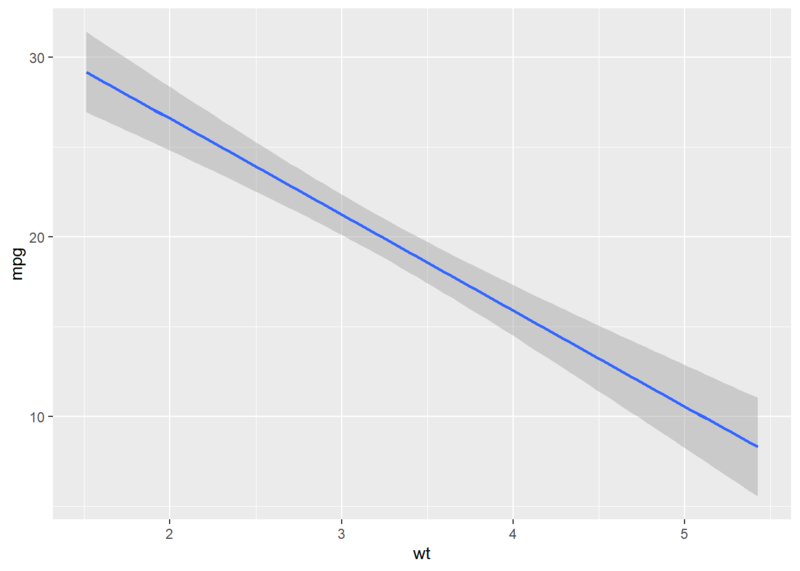 geom_text() offers another way to add text to the plots. We will learn to modify the appearance and location of the text in another post.